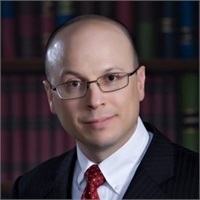 Rick Petrucci focuses in the areas of estate planning, business succession planning, financial planning, executive compensation planning, taxation, asset protection planning, special needs planning and elder law. Previously, Rick had been an estate planning attorney in private practice, an estate and business planning attorney with a national insurance company and a tax lawyer with an international accounting firm. In addition to being an attorney, Rick is also a CERTIFIED FINANCIAL PLANNER TM and a Certified Public Accountant. Rick graduated from Bryant University with a B.S. in Business Administration in 1988 and from Hofstra University School of Law in 1991.